Four-speed, ceiling fan white wall control provides convenient operation for fans with pull-chain controls. 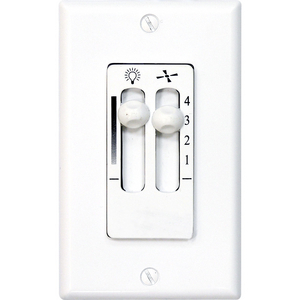 Includes full-range lighting dimmer and switch plate cover. Requires two circuits - fits single gang wall box. AirPro Ceiling Fan Speed and Lighting Control. 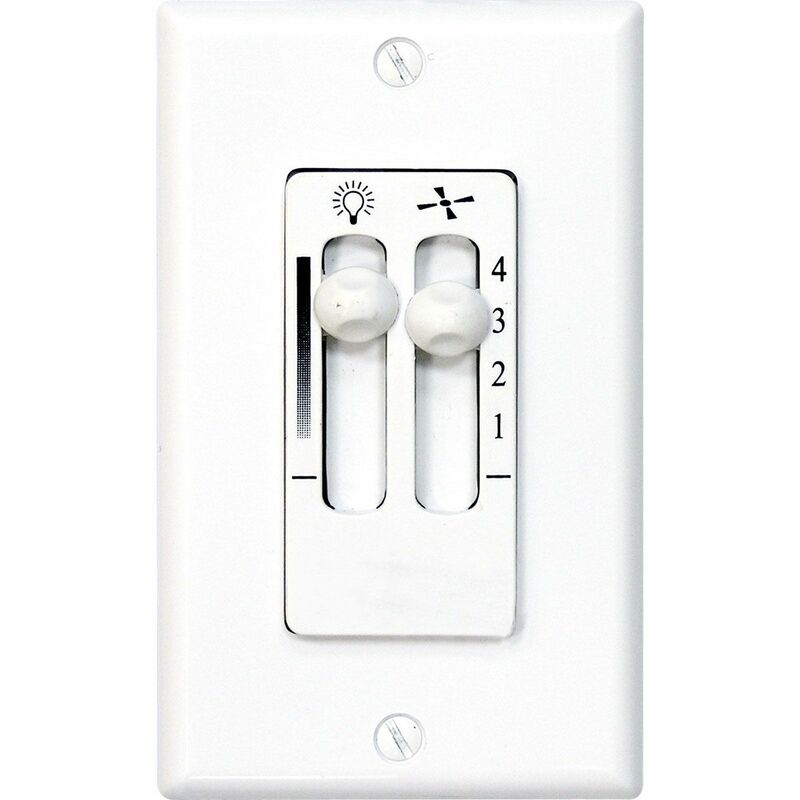 Wall control transmitter provides convenient operation. Four-speed: 1=fastest speed, 4=slowest speed.